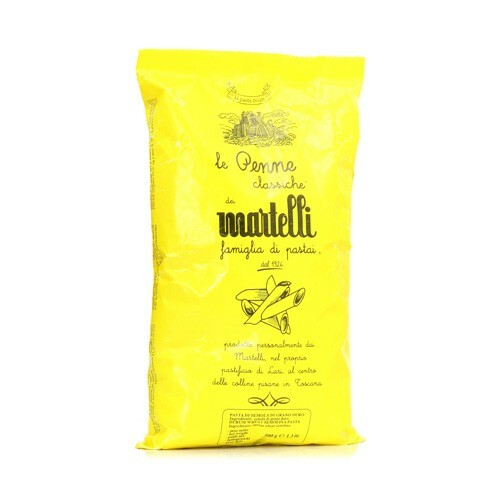 Martelli is considered to be some of the best dried pasta produced. Made by only Martelli family members in the Tuscan town of Lari, they use the highest quality durum wheat flour, shape their pasta through bronze dies, and slowly dry their pasta. These three characteristics distinguish the difference between a lower grade commercial product and a premier artisanal product.